Off your device, into your life. 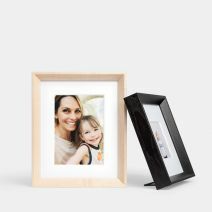 This museum-quality frame can be customized with your photo and choice of mat cut. 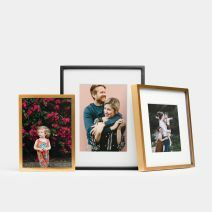 Choose a Deep-Set Frame, which sets back your photo, mat and plexiglass by one inch, or our sophisticated Gallery Frame for a time-honored look. Best part? Connect directly to your Instagram feed – no uploading required. 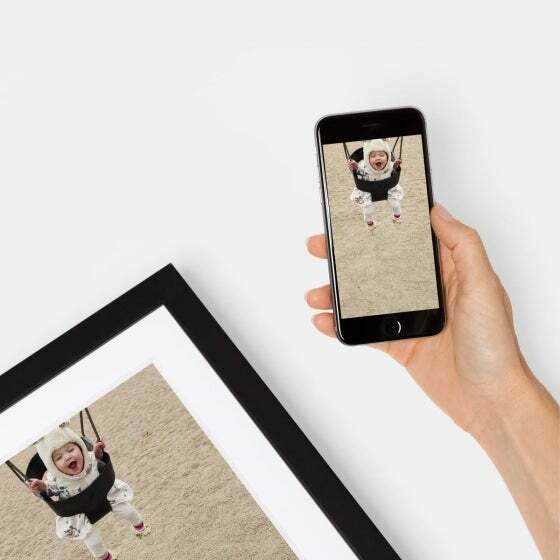 Off your device, Into your life.™ Inspired by our Gallery and our Deep-Set Frames, our Instagram Friendly Frames are specifically formatted to showcase your most-loved Instagram photos. 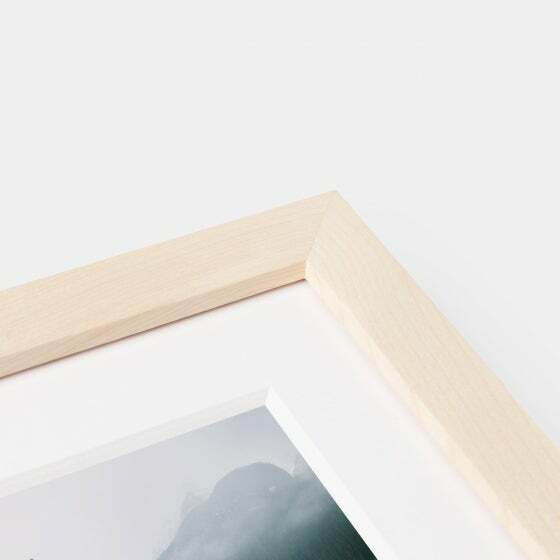 Featuring a framed version of our archival Large Format Prints these frames are unmatched in quality and design. 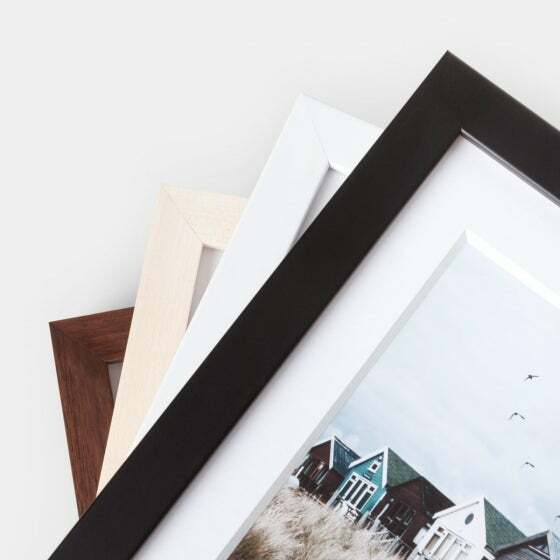 Offered in three Instagram Friendly sizes, and your choice of maple, walnut, black or white finishes, these museum-quality frames are sure to awe. 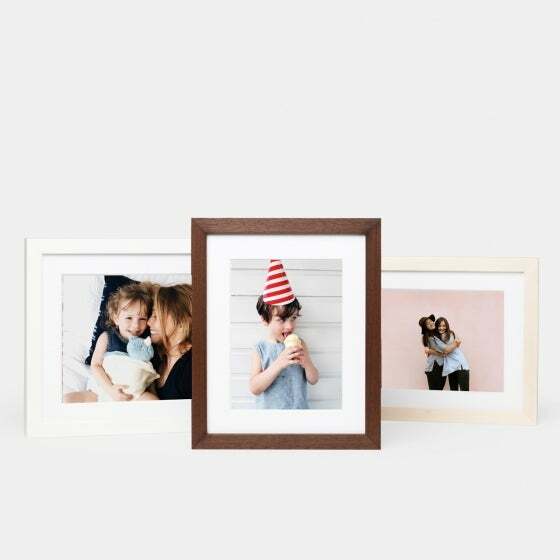 We simplified the framing process by allowing you to choose from our pre-designed mat sizes to best suite your Instagram image. Before you get started on your project, we recommend checking out our Guide to Effortless Walls for tips and tricks on how to re-imagine your favorite space. The best part? 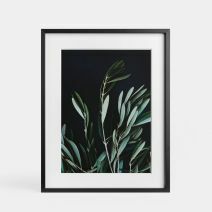 You are able to connect directly to your Instagram feed, making it even easier to move your photos from phone to print. 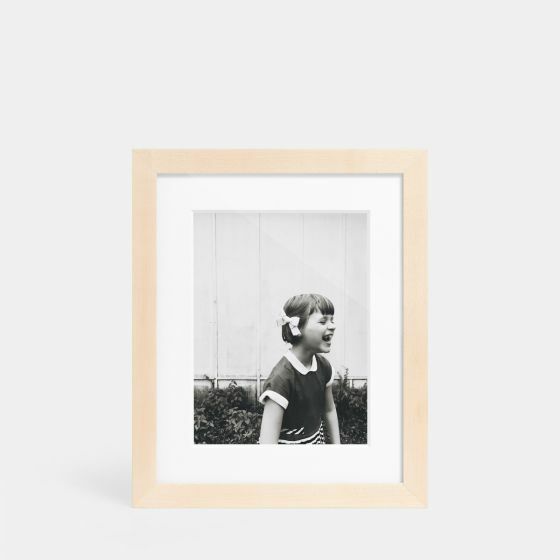 Or, if you prefer you can get started on your framed project directly through our mobile app. 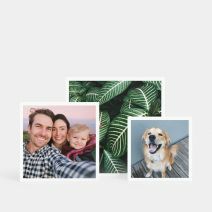 Looking for other ways to print your Instagram photos? Browse through our Idea Gallery for more inspiration on how to tell your story in print. We highly recommend our Instagram Friendly Books for those times where you just can’t choose one photo to print. 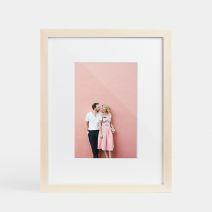 Design and quality aside, we love these frames because you can have a custom framed print arrive on your doorstep in just five business days plus shipping.